A quick background for those who aren’t following things. The oceans have become particularly DEADLY to plants and animals, fish, and mammals in the last 5 years. Large scale die-offs are almost a daily occurence. Even the top of the food chain, Whales, have been affected and are seeing NOAA certified “UMEs” Unusual Mortality Events, aka mass die offs. Seals are starving and the rescue centers can’t keep up. Fishing seasons have been halted because of very low populations. Bird species have died by the hundreds of thousands, all found starving, nothing in their stomach. Seriously. Some people are calling it the “Death of the Pacific”. Google it, get this on your radar. 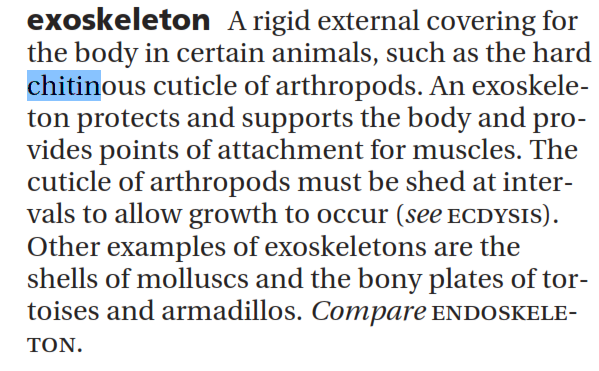 Chitin is a polysaccharide biological structural polymer found in exoskeletons, like krill, insects, crabs, beaks of squid etc, and combined with calcium carbonate to form shells of crustaceans. It absorbs radioactive fallout. 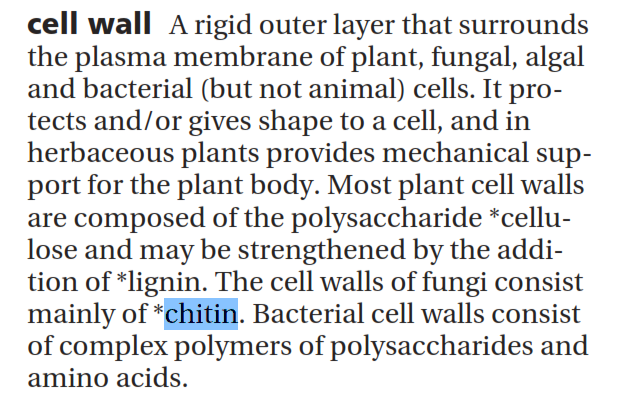 Chitin, is an extremely important building block of many types of organisms. and it destroys the structural veins of insects wings. 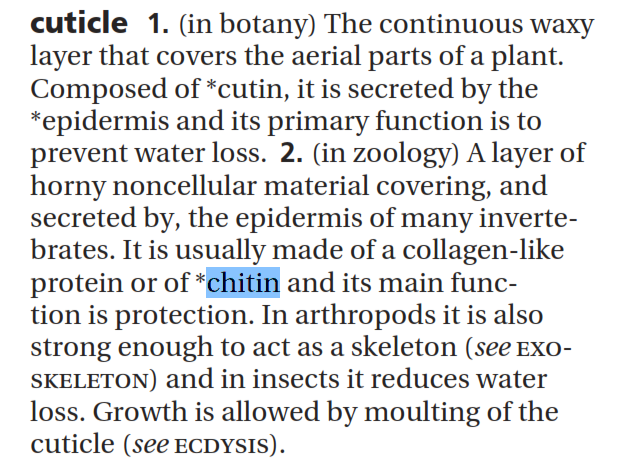 Chitin absorbs radiation and Chitin has its chemical structure destroyed by radiation. After Three Mile Island and after Fukushima in Hawaii…all the flies went away for a year. 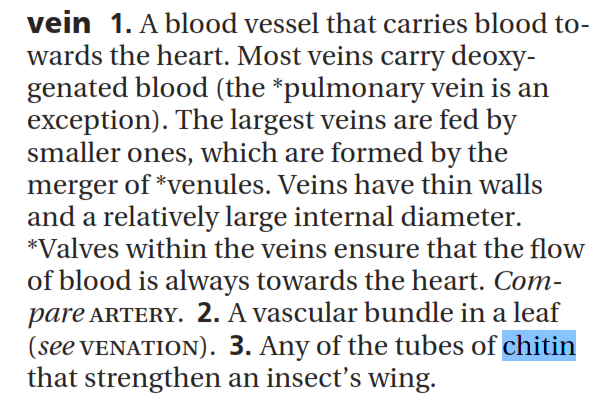 Fly wings are made of Chitin. No Chitin Sherlock, the smoking gun uncovered. The change in functional composition and molecular mass of crab, shrimp, and Antarctic shrimp (krill) chitin under the effect of ionizing radiation has been studied. stock here–supporters of the Nuclear Industry will often throw out their deception that “but the level of contamination in the ocean is so small compared to natural radiation”. They completely ignore known science using the “Concentration Factor”. Some life forms will bio-accumulate, or bio-magnify if you will, up to 2 Million times what is in the water around them. See this table. Note that they are not usually testing for Cesium and Strontium in these tests, but those could also be a darling of the heavy metal uptake and deserves a deeper look. Par for the course, seems like the “scientists” are always concerned with exploiting a natural process and never use their intuition to also assess….what potential ramifications does my research have for protecting the eco-system. 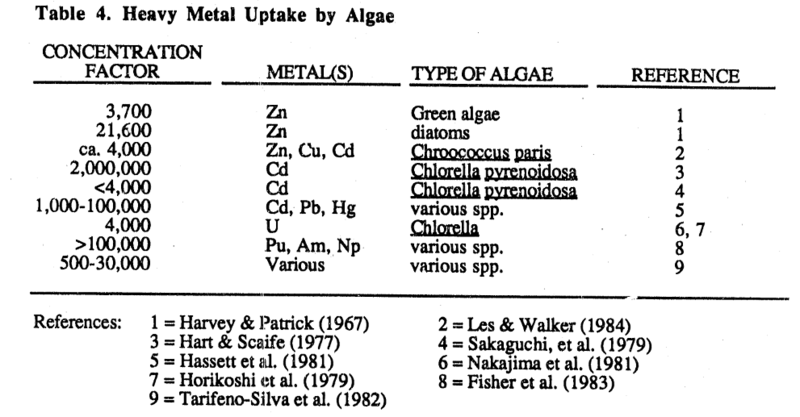 So they neglect to think….perhaps these biofilms that are on almost every marine plant or animal could be concentrating metals into the “host” plant or animal. They know it happens, but only parse the question in terms of how it could affect “fouling”. the passage of chemicals and radiation across these membranes is modulated by microfouling quite analogously to what is happening at the living surfaces of marine organisms covered by epibiotic biofilms. However, this insulating or filtering function of biofilms is much less studied in epibiotic associations because typically these biofilms cannot be maintained structurally and functionally intact in the absence of the host. stock, in my mind, a distinction should be made in the bioabsorption, and concentration of radionuclides and the destruction of the chitin by the same. For example, mutation could come from the concentration or precipitation (think ion exchange resin) of chitin and its effect on DNA, as opposed to sheer structural degradation. Also there is an important time factor. 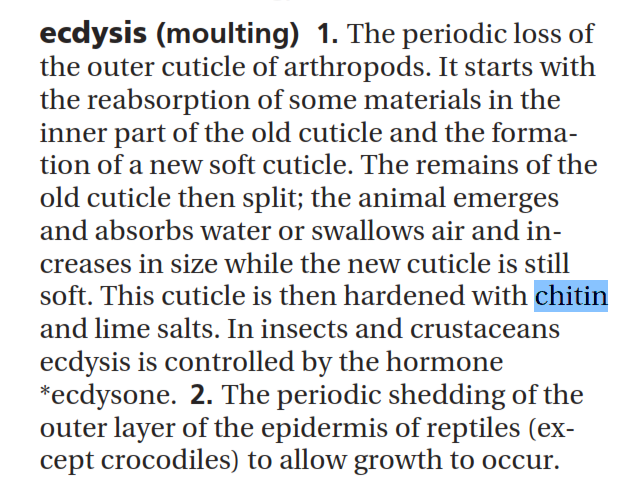 So as an insect is growing or hatching, the timed polymerization of chitin must be VERY critical. Rather than structural degradation, a speeding up or retardation of polymerization during that crucial stage could result in poor wing shape etc. So interestingly enough….Chitin is researched as an effective “sponge” to soak up Uranium, Plutonium, Americium, Curium, strontium, Cesium. 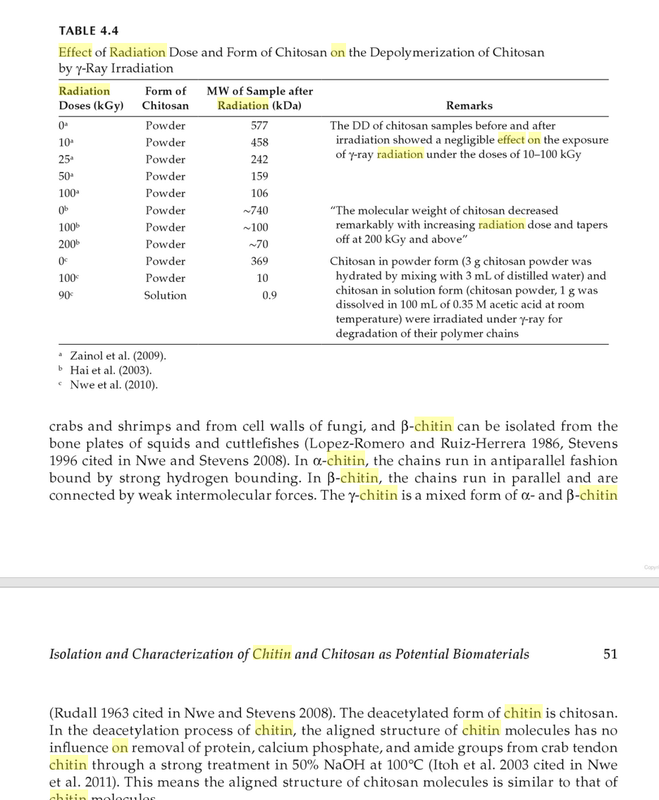 And here is another lengthy scientific article on Chitin as a cleanup material for nuclear waste. Chitin absorbs and concentrates radionuclides. This is part of the familiar bioconcentration/bioaccumulation story. The concentration factor for heavy metals can be hundreds, thousands or even millions of times. The reason I started thinking about chitin is because I was looking for a natural organic ion exchange resin. They use ion exchange resin to concentrate and isolate cesium from ocean water for measurement. Chitin is well known for its heavy metal absorption and chelation. 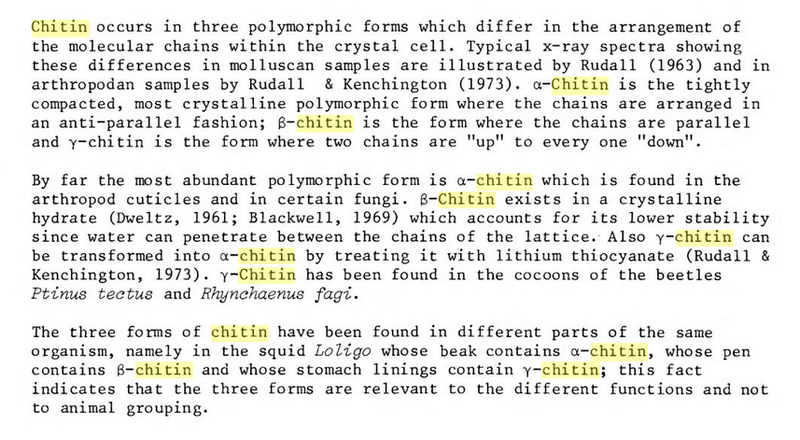 More is unknown than known about chitin and how it is controlled in biology. biofilms on every animal in the ocean. Biofilms are capable of binding significant quantities of metals under natural conditions, and serve as matrices for precipitation of insoluble mineral phases. 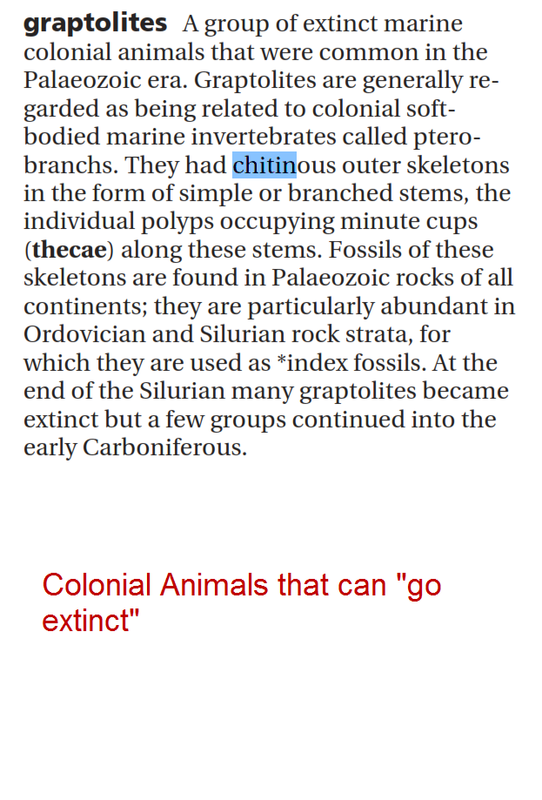 chitin, nothing random about it! Chitin biosynthesis is a strongly regulated process, both spatially and temporally. It acts like an ion exchange resin and also absorbs by pores and other mechanisms. If the timing and placement isnt perfect, the animal will be deformed. The ion exchange process is very effective at transferring the radioactive content of a large volume of liquid into a small volume of solid. Nuclear reactors have been using resins for years. Boiling water reactors generate 20 cubic yards of organic ion exchange resin radioactive waste a year. They dont know what to do with this waste exactly. Told them so, but did they listen? radionuclides, as are chitosan and other chitin derivatives’ Heavy metals are usually powerful poisons to the nervous system. Sci Rep. 2014; 4: 6053. …Here we present the first report of a carbon-γ-Fe2O3 nanoparticle composite of mesoporous carbon, bearing COOH- and phenolic OH- functional groups on its surface, a remarkable and magnetically separable adsorbent, for the radioactive material emitted by the Fukushima Daiichi nuclear power plant accident. Contaminated water and soil at a level of 1,739 Bq kg−1 (134Cs and 137Cs at 509 Bq kg−1 and 1,230 Bq kg−1, respectively) and 114,000 Bq kg−1 (134Cs and 137Cs at 38,700 Bq kg−1 and 75,300 Bq kg−1, respectively) were decontaminated by 99% and 90% respectively with just one treatment carried out in Nihonmatsu city in Fukushima. Since this material is remarkably high performance, magnetically separable, and a readily applicable technology, it would reduce the environmental impact of the Fukushima accident if it were used. Pages highlighted in the 600 page book I posted yesterday claim studies show tuffs? (volcanic rock) have a high absorbtion rate for radionuclides. I also recall coral having a high affinity for heavy metal contamination and death. Does this make Hawaii a sea sponge for radioactive particles? Will she be sacrificing her corals, or what is left of them? Notable Fukushima/Chernobyl research scientist Timothy Mousseau has made recent note of the lack of funding/support for necessary/illuminating science on this issue, and deems it a form of censorship. However, nothing ventured nothing gained is applicable here. I’ll contact some people who might help, maybe some others here can do so too, and maybe who knows , a seed will have been planted: from one little acorn came many oaks … and a great many blessings. 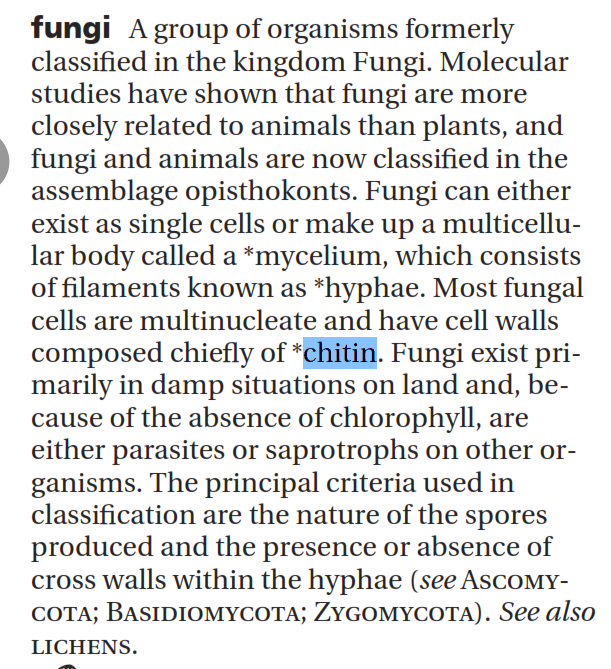 Funny how “Science” it focused on exploiting Chitin, rather than protecting Chitin. With their chitinous shells, insects seem almost invulnerable — but like Achilles’ heel in Greek mythology, their impressive armor can still be attacked. Researchers at the universities of Bonn and Leipzig studied fruit flies (Drosophila) and discovered the molecular processes that are able to break through this protective casing. The enzyme chitinase 2 and growth factor idgf6 are especially important in correctly forming the insects’ shells. These findings are relevant for fighting parasites, and will be published in the professional journal Scientific Reports.